Dare to C.A.R.E., a national vascular screening and disease management program, is offered at several locations throughout the Houston area. To make an appointment for a free vascular screening, or for more information, please call 713.486.DARE (3273). DEEP was developed to provide community residents with the tools to better manage their diabetes in order to reduce complications and lead healthier, longer lives based on principles of empowerment and adult education. To register for a class, please call 713-486-8574. Diabetes Self-Management Education can help you understand why making some changes might better help you manage diabetes. The goal is to have an open discussion with a diabetes educator about what you believe you can do to make those changes. Our Diabetes Self-Management Education program is recognized by the American Diabetes Association for Diabetes Education and takes place in a group class or 1:1 session, depending on your needs. One of the most immediate health benefits of practicing Hatha yoga poses is a feeling of calm; when you focus on your yoga practice, you may focus less on your worries or woes. Yoga can increase your flexibility, range of motion and strength as well as enhance your balance, leaving you with a higher fitness level and reduced risk of injuries. Classes are held at UT Physicians Multispecialty – International District. Please call 713-486-5900 to confirm class availability. Mothers can find the stress of having a newborn overwhelming. Our support group helps mothers (18+) connect with others who are experiencing similar challenges. Led by licensed professionals who are trained in social support, interventions and other stress management techniques, learn how to reduce the risk of anxiety and postpartum depression. Classes are held at UT Physicians Multispecialty – Greens. Please call (713)486-5567 to confirm class availability. 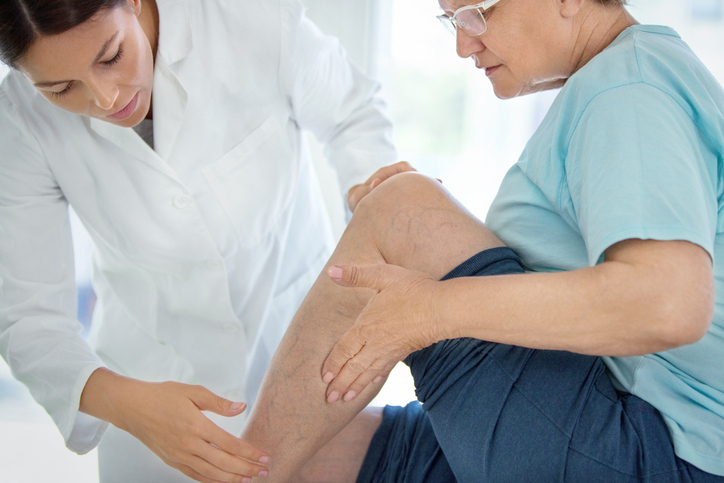 By answering a few simple questions and uploading your photo(s), a board-certified vascular specialist will review and make an evaluation of your venous concerns such as varicose veins, venous deficiency, DVT, etc. If a formal vein consultation is recommended, you will be contacted and given the information necessary to make an informed decision about which treatment option, if any, is right for you. We can all benefit from organic gardening. It is widely recognized that regular contact with plants, animals, and the natural environment can improve our physical health and mental well-being. Such activities can relieve the symptoms of serious illnesses, prevent the development of some conditions, and introduce people to a way of life that can help them to improve their well-being in the longer term. Classes are held at UT Physicians Multispecialty – International District. Please call 713-486-5900 to confirm class availability. The UT Physicians Comprehensive Sickle Cell Center invites patients, caregivers and family members to a monthly no-cost support group. The group meets on the second Tuesday of each month from 12:00 pm-1:00 pm, and the following Thursday from 5:30 pm-6:30 pm. The group provides emotional support to individuals with sickle cell disease and sickle cell trait, along with those who participate in their care. To register, you can call 713-486-5660, select option 1. Tai Chi can be thought of as a moving meditation composed of the precise execution of slow and graceful movements. 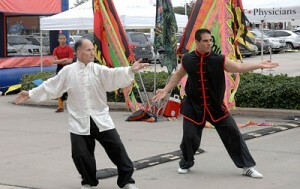 Tai chi involves breathing while moving through postures and stances. 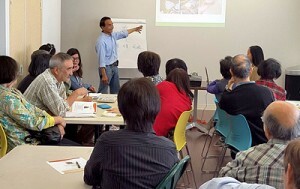 Classes are held at UT Physicians Multispecialty – International District. Classes are limited in size to 20 people. Classes are not offered during holidays. Please call 713-486-5900 to confirm class availability.